CLEAN CARFAX, GREAT PRICE POINT!! 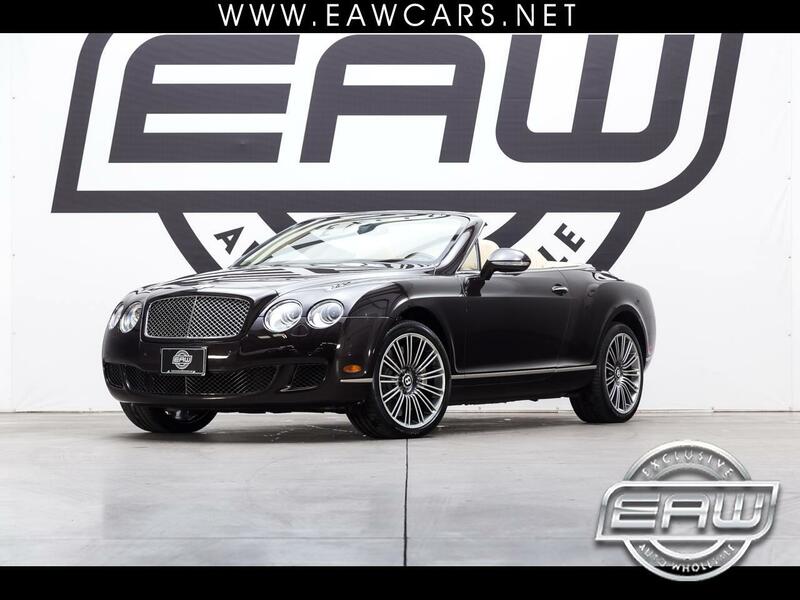 CONVERTIBLE CONTINENTAL GTC SPEED, NAVIGATION, HEATED SEATS, BACKUP CAM, SOFT TOP, 20'' WHEELS WITH PIRELLI RUN FLAT TIRES. VERY NICE BENTLEY THIS ONE IS IN FANTASTIC CONDITION INSIDE AND OUT. THAT ALONG WITH THE CLEAN CARFAX TELLS YOU THAT THIS WAS SOMEONES BABY THAT THEY TOOK VERY GOOD CARE OF!! 12 CYLINDER TWIN TURBO CRANKS OUT 600 HORSE POWER, SUPER LOW MILES!!!! Message: Thought you might be interested in this 2011 Bentley Continental GTC.